What Is The Weight Limit For Stand Up Paddle Boards? 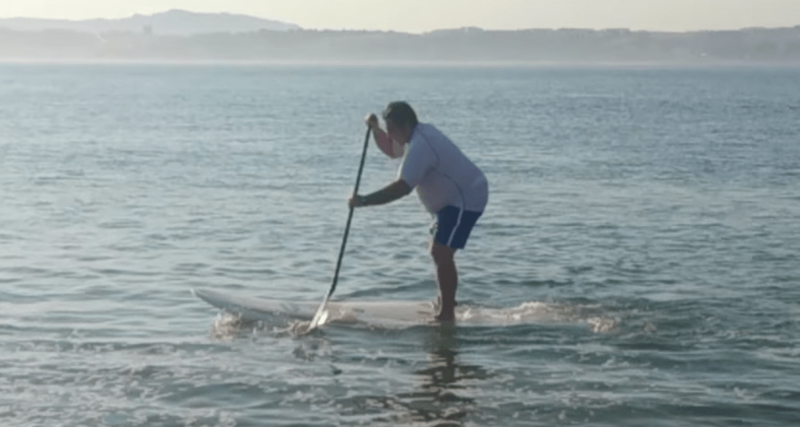 Interestingly, stand up paddle boarding has a rather venerable ancient history behind it! 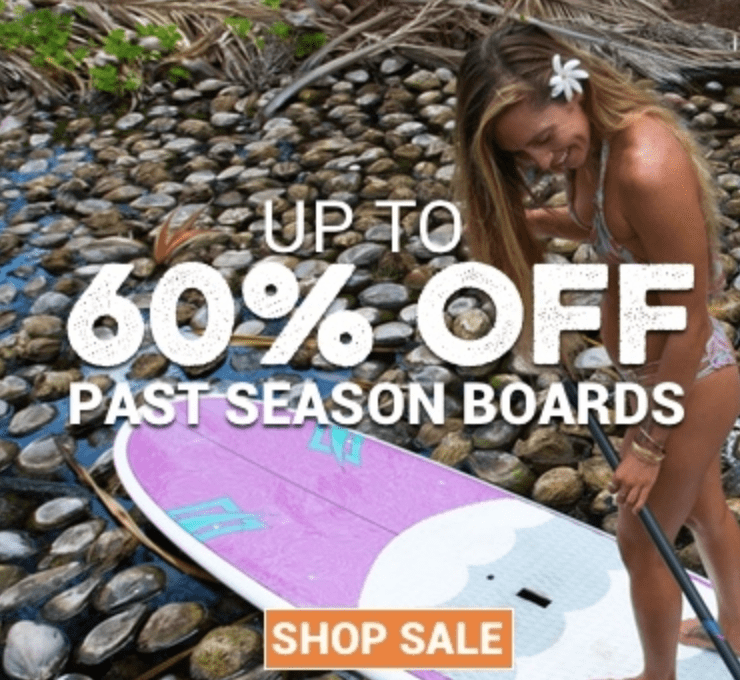 According to Time Nation, the first documented use of a “paddle” to drive or navigate a flat board dates back to the time of the early Polynesian culture. 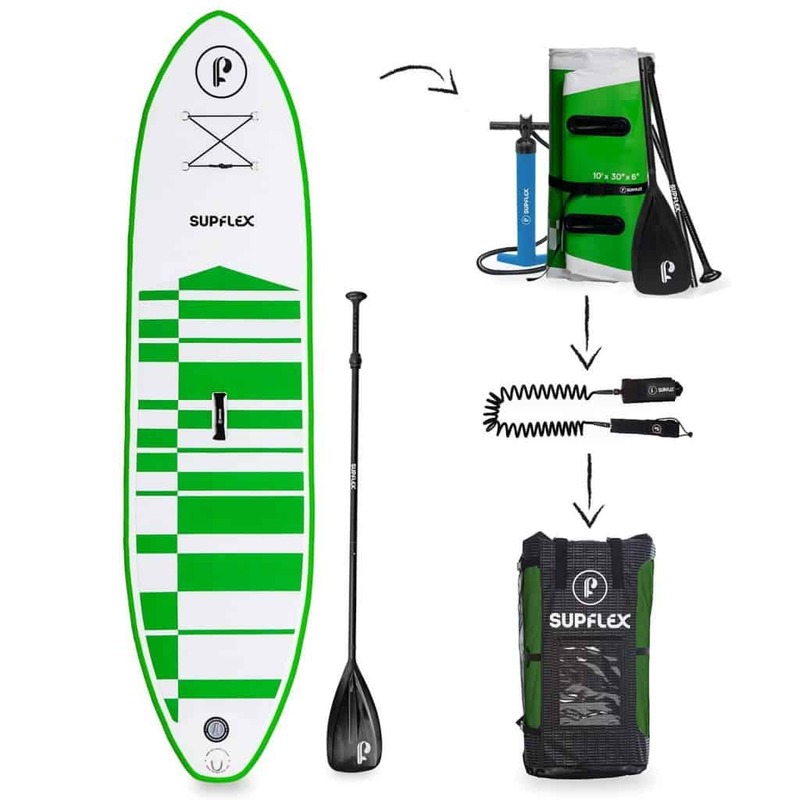 In this post: you will learn more about stand up paddle boarding, including how to choose the best size board and what weight limits are for different types of paddle boards. Where Can You Practice SUP? One really great thing about stand up paddle boarding is that you can practice it pretty much anywhere you can find a sufficient body of water that allows you to paddle back and forth from end to end. This means that ponds, lakes, rivers, bays, oceans and even swimming pools are all potential candidates for a SUP session. 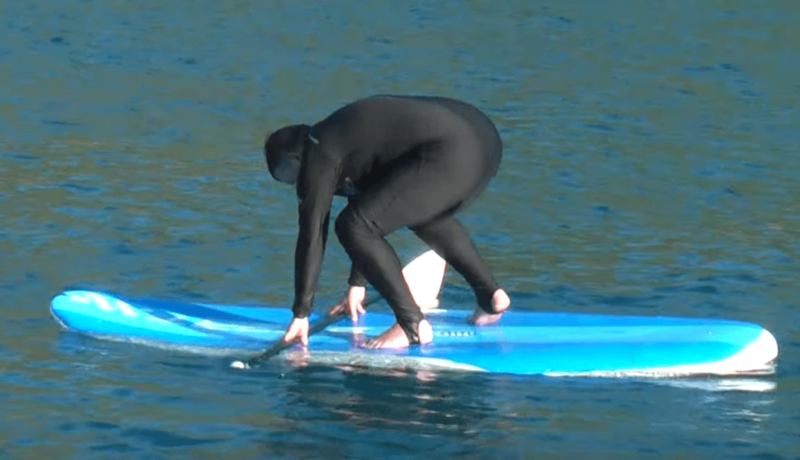 On the calmest waters, it becomes possible to use the paddle board itself as a type of yoga mat on which to perform morning or evening sun salutations and other restorative yoga routines. Even if you aren’t keen to turn yourself upside down while balanced on a paddle board, many SUP enthusiasts cite the unmistakable zen-like state that arises as paddle board, paddler and water seem to somehow merge and become one entity, buoyed by the Earth itself. Best of all, like yoga itself, there are very few barriers to entry for people who want to try paddle boarding. So long as you can swim, are comfortable being on or in the water and are willing to develop your balance so you can enjoy standing up on your board (until then, sitting on your board is perfectly acceptable as well), you too can become a paddle boarder! Best of all, according to Stand Up Journal, paddle boarding is a legitimate way to enjoy a good workout. A vigorous paddling session could easily burn 1,000 calories or more in 60 minutes’ time! For extra burn, invite the family pooch or a partner to tag along on your board – then you will be paddling for your weight and theirs. Paddle boards come in many lengths and sizes. This allows practitioners of all ages to enjoy SUP. The board length, width and depth can all influence how easy or difficult it is to paddle. As well, it is important to include the weight of the board itself. Most boards suitable for beginners will weigh 30 pounds or less, with a variance from 15 to 40 pounds. Lightweight boards will generally move more quickly, but can prove more difficult for a beginner to control. Heavier boards may be difficult for some paddle boarders to lift and carry, but will offer more stability for beginners. Generally speaking, most beginner boards will be less than 10 feet in length and will be weight rated for 200 pounds or less. But as Paddle Board Thrills explains, some manufacturers rate their boards for higher weights, which keeps SUP open to all. I have seen as high as a 500 lb rating. Not only do paddle boards come in many shapes and sizes, but as REI explains, they also feature a variety of extras tailored to different paddlers’ needs. – Hulls. There are two main types of hulls (paddle board fronts), the displacement hull (leisure, yoga) and the planing hull (going fast, racing). – Body type. Two body types exist: solid and inflatable. The former is made of foam and fiberglass, which makes it heavier but more durable and stable. The latter is made of PVC, which makes it lighter and easier to carry and store. – Length. Boards come in short (less than 9 feet), medium (9-12 feet) and long (over 12 feet). – Fins. The number and type of fins can contribute to speed and stability. With this information, you can select the right SUP board for your needs. We hope you enjoyed this article and if there is anything you would like us to talk about or review, please leave any ideas in the comments below. Previous Post: « What Should You Wear When You PaddleBoard? A displacement hull is SLOW. It just pushes water around it. An example is a deep fixed-keel sailboat. It can’t go faster than hull speed. Extra energy input, whether wind or engine, goes to wave production (wasted energy), not speed. In contrast, a planing hull is able to get out of displacement mode, rise out of the water, and convert wind or engine energy into speed. Wow, major editing error there. It will be fixed right away. I appreciate you pointing that out, thank you. I will let the team know about this as well. You had it correct the first time! The SUP verbiage is planing hull for leisure, yoga, surfing, while the displacement hull is for touring and racing. Planing is somewhat of a misnomer for this style unless you are surfing. These are not deep fixed-keel sailboats, they are Styrofoam planks covered in fiberglass/epoxy/carbon and powered by a single paddle. Peter appears to be applying conventional boating/sailing/physics terms to our sport.